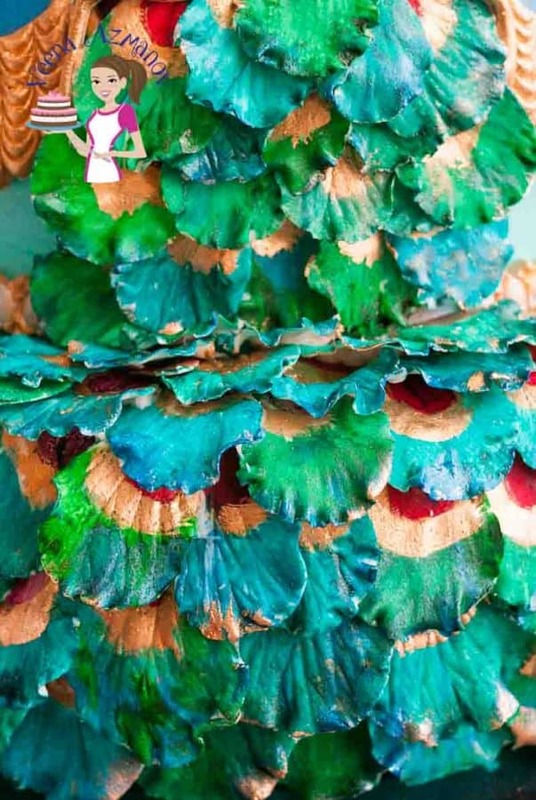 This peacock inspired wedding cake was my contribution to the Incredible India Collaboration along side more than 100 Indian and International cake artist from around the world. 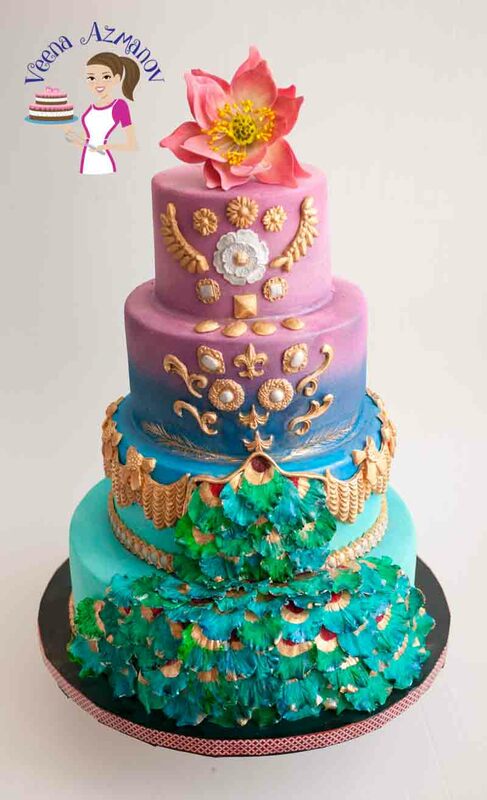 Truly honored when Tina Scott Parashar asked me to make a cake for her collaboration Incredible India Cake Artist. The group was really big unlike most other collaborations. More than 100 cake artist from all over the world participated and each made a cake that was absolutely stunning. 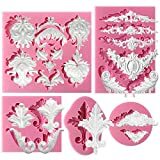 From wedding cake to incredible novelty cake and some cake toppers including gravity defying cake toppers. The collection will blow you away. 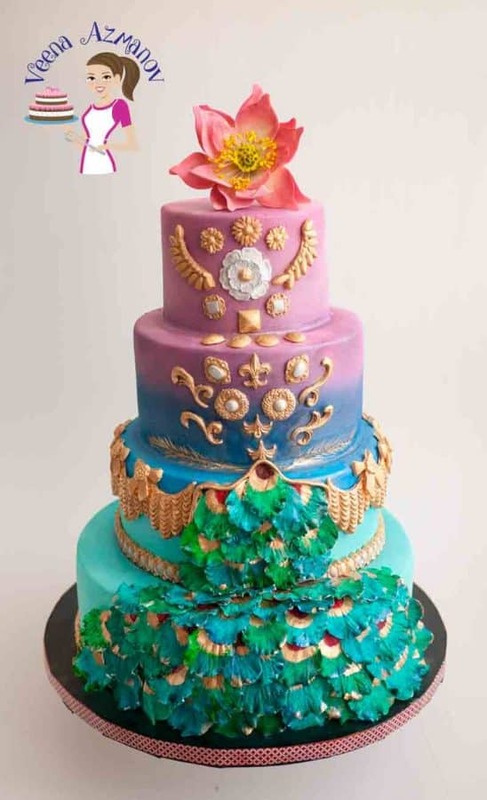 You can see all the cake on the Facebook page Incredible India – International Cake Collaboration. The theme given to us was ‘India’ so we could choose anything Indian. Weather it was the festival, food, films, animals, characters, culture, tradition. The options are plenty but each one chooses what they means more to them. I chose to use the national animal, flower and some jewelry for my cake. Love the colors and feathers of the peacock so that’s what I did. 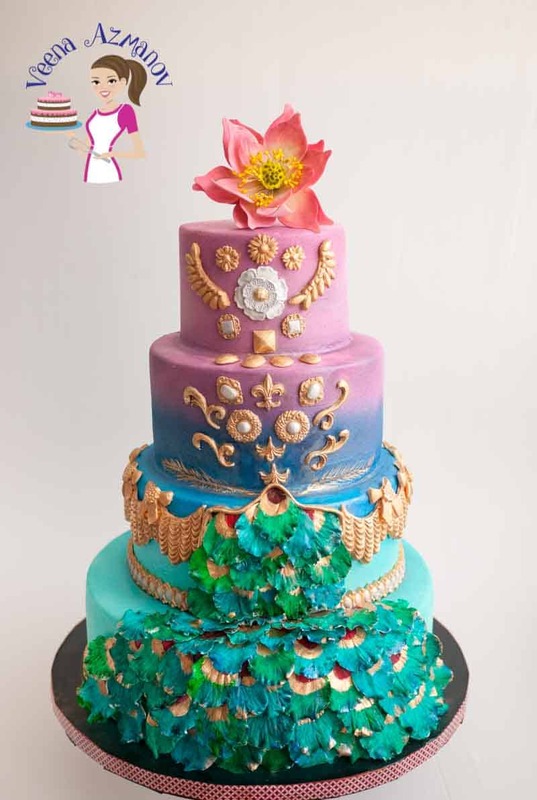 Crazy about Indian jewelry so used some of that in there too and always wanted to make the lotus so it seemed perfect for this cake. The cake is of course a dummy not real cake. So the tiers are simple and straight forward. The colors were a real treat to work on. Love the shades I got and thrilled with how it turned out. Here’s a close up of the peacock feathers. I didn’t make them flat but more like ruffles. Used my Poppy flower cutters in three sizes and gave them a good ruffle. Made them in white and then used my Magic Colors Airbrush colors to paint them later. I had to mix an match a few colors to get to the shade I wanted. I used some greens, blues, red and some gold. The lotus is a really pretty flower and not so difficult to make. I did plan to make a tutorial for it but didn’t work out with my camera this time. 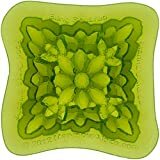 I plan to make a few sugar flower tutorials next year so will add that to my list of upcoming tutorials. For the jewelry I used a few of my silicon molds. On the whole I really enjoyed making this cake. 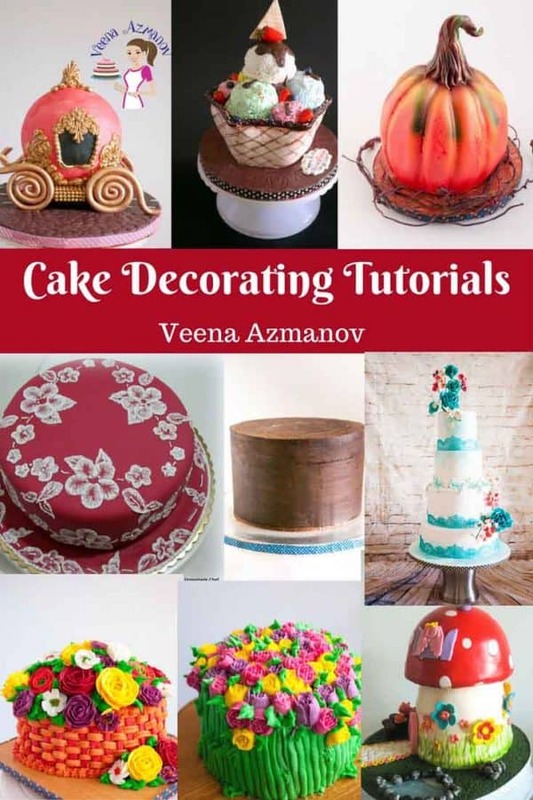 Was an honor to have my cakes featured with so many talented cake artist from around the world. Truly incredible Indian and International cake artist. Thank you so much Rebecca – I love the colors too..
Beautiful cake! I recently tried your homemade fondant which turned out really good. One thing i have noticed with this an other recepies is that my fondant get very sticky or has a ‘wet’ look after applying to cake. 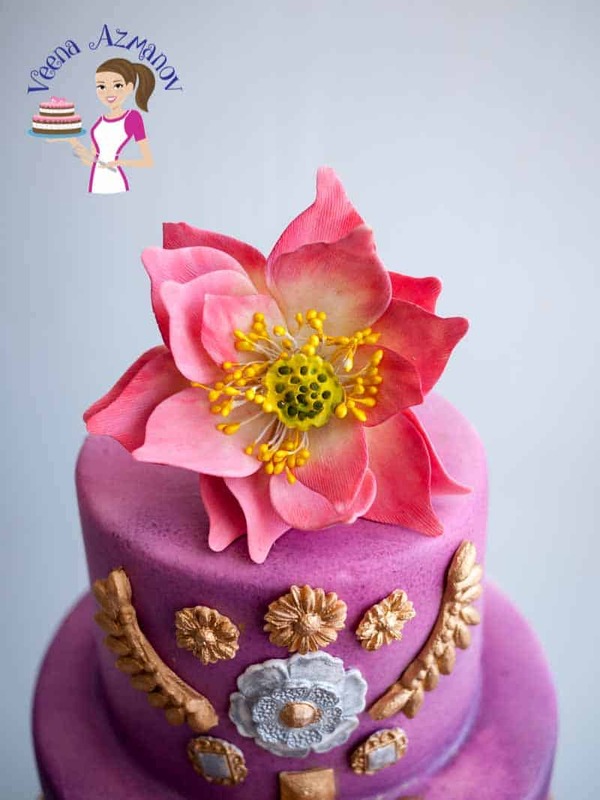 I usually use a crusting buttercream as a base for the fondant…..could this be the cause of the stickiness? or will humidity play a factor as I live in the Caribbean. Needed some advise….much appreciated. Hi Noreen… This is definitely an issue with humidity. You know what happens if you leave sugar in bowl on you counter in hot and humid weather? Sugar melts in humid climate and fondant is Sugar!!! So that’s the first issue. Secondly, you can use buttercream under fondant but you will have more working time if you use ganache. Check my ganache recipe on this blog. I highly recommend using at least 2 :1 ratio chocolate to cream. Here in Israel in summer I use almost 3:1 ratio in summer for my wedding cakes because it’s really hot and humid. The stickiness is usually condensation and usually that will dry off after some time (or a few hours) then you can continue to decorate it. Did u put your cake in the freezer after giving it a buttercream frosting and then cover it with fondant? I think people do put fondant cakes in the freezer but i have never. You can put buttercream cakes in the freezer as long as you wrap and seal well.